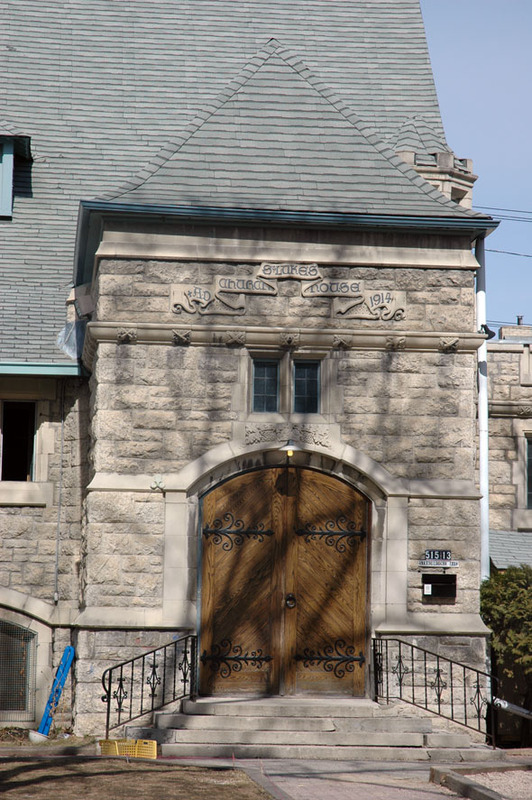 The parish hall to St Luke’s was designed by Winnipeg architects Woodman & Carey and constructed in 1913-14. Although by a different architect than the church, the English variant of Gothic Revival is carried through the building, blending harmoniously. This is a wonderful hall from the shallow arched windows at ground level creating the effect of an arcade to the small dormer windows and filial.